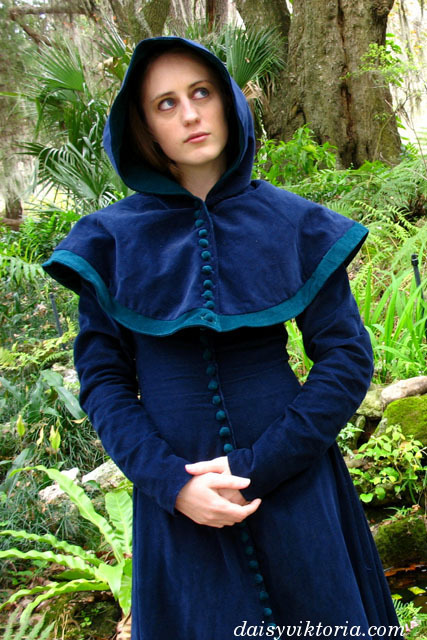 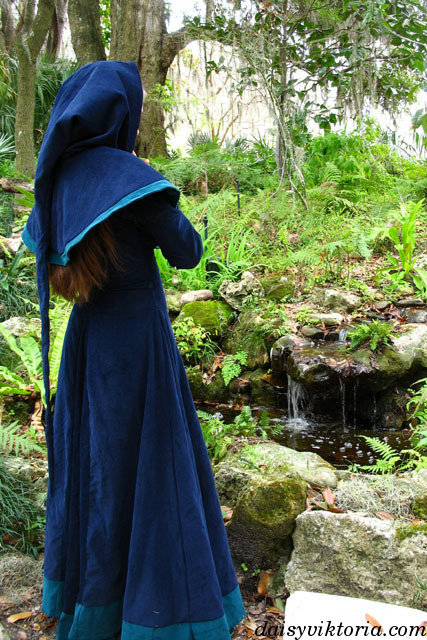 This is a cotehardie and a hood, a style popular in 14th century France. 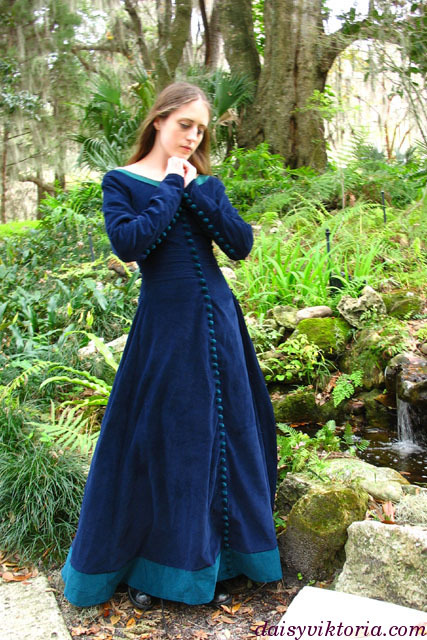 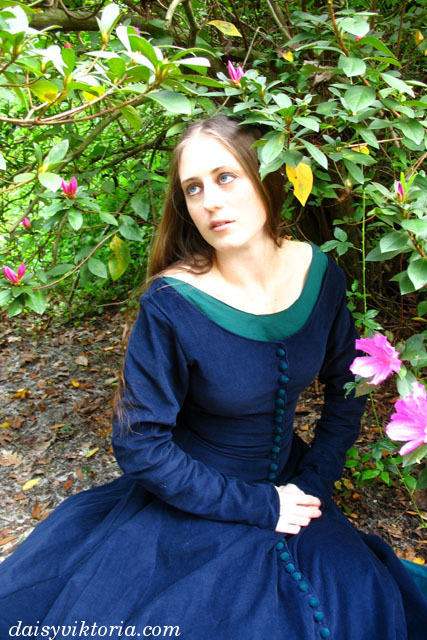 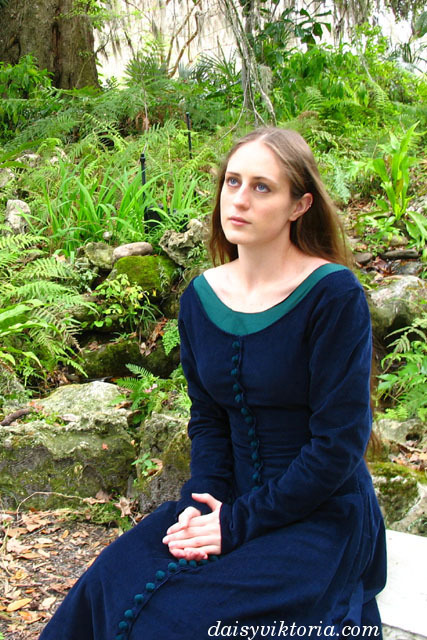 This is a fitted dress that buttons up the front with gores in the skirt, and it is worn over a green cotton underdress. 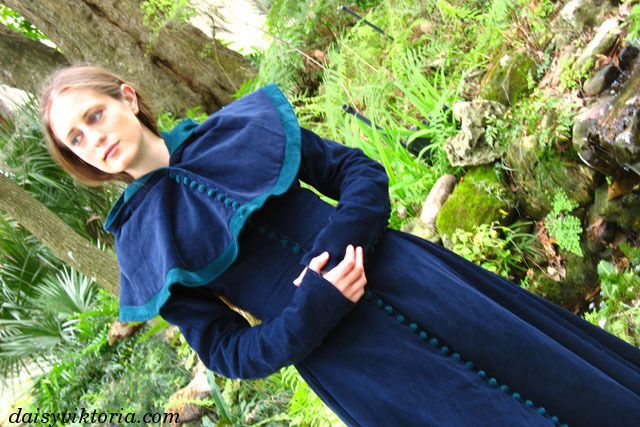 The buttons were all hand-made from the same fabric used as the trim.